NBA, NFL, football, WWE, UFC, boxing, rugby, fitness… sport is big business for brands. Socially-led platform GiveMeSport offers market-leading creative and content solutions for partners across the world of sport and entertainment. They can offer brands a huge platform to integrate and promote to through multiple channels including social, digital, film and editorial, reaching a wide range of ages, demographics and social interests and creating content that will resonate with as wide an audience as possible. 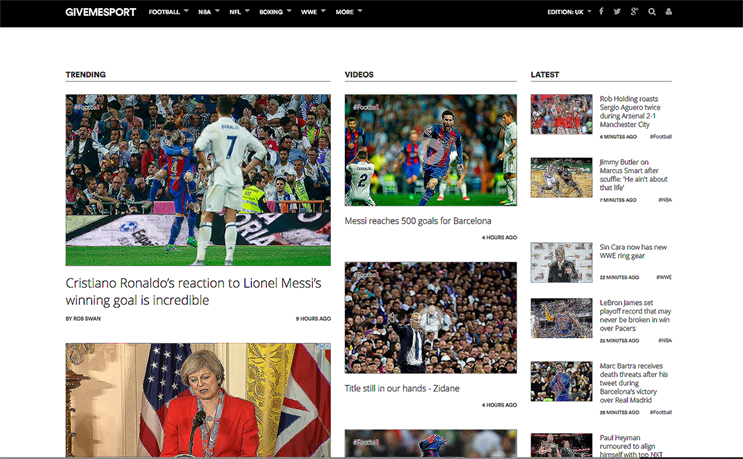 GiveMeSport separates itself from their nearest competitors by having an innovative approach to sports coverage delivering stories, content and video that showcases the spectacular, unexpected, insightful, controversial and unmissable moments that drive conversation and shares. The company is also the official partner in the UK for the NBA and NFL. Let your brand hit it out of the park!